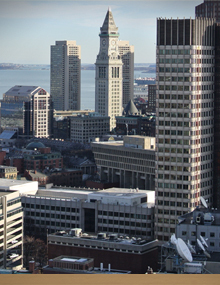 Joan E. Kolligian is a member of the American Bar Association, Family Law Section; Massachusetts Bar Association, Family Law Section; and Boston Bar Association, Family Law Section. She is also on the board of directors of Senior Partners for Justice. Attorney Kolligian graduated from Wheaton College (1973) and Suffolk University Law School (1978). She is a member of the bar of the Commonwealth of Massachusetts (1978); and has been admitted to practice before the United States District Court (D. Mass.) (1979) and the United States Supreme Court (2011). Attorney Kolligian served as a Legal Assistant to the Clerk of the Supreme Judicial Court for Suffolk County (1973-1979), and as an Assistant Register of the Middlesex Probate and Family Court (1979-1988) prior to entering private practice. Since passing the bar, Attorney Kolligian has authored a number of articles in the field of family law and probate practice. She has also participated in a number of continuing legal education programs for Massachusetts Continuing Legal Education, including the annual Family Law Trial Skills Course, and is also an Inaugural Member of the Greater Boston Family Law Inn of Court. Attorney Kolligian is listed in New England Super Lawyers with Boston Magazine, and was also listed in The Top Women of Law in the April, 2014 Boston Magazine. Attorney Kolligian carries the Highest Possible Rating in both Legal Ability and Ethical Standards (AV-Preeminent) of Martindale Hubbell Peer Review ratings. She has served as a Hearing Officer for the Massachusetts Board of Bar Overseers. Attorney Kolligian regularly serves in the Lawyer for the Day programs of the Norfolk County and Middlesex County Bar Associations. Attorney Kolligian together with Attorney Paul M. Kane have represented clients in many cases before the Massachusetts Appeals Court and the Supreme Judicial Court in issues of jurisdiction, child custody, relocation of parents and children, inherited assets in a divorce case; and valuation of closely held business entities. (See Significant Cases) Several of the appellate opinions in which Attorney Kolligian has been involved form the basis of significant legal principles impacting matrimonial law in the Commonwealth of Massachusetts. Attorney Kolligian has also served as an expert in International Divorce and Custody matters. Attorney Kolligian was a Trustee of the New England Baptist Hospital, Boston, Massachusetts from 2006 through 2018. Attorney Kolligian remains committed to the support of the New England Baptist Hospital and volunteer service.